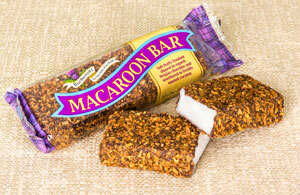 Classic Scottish Macaroon Bar - sweet fondant center covered in chocolate then rolled in toasted coconut. Yum! 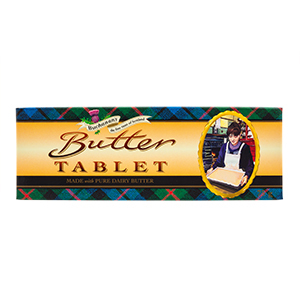 Finally we found a macaroon bar for all those Scottish sweet tooths here in America. You remember these from your childhood - sweet fondant inside with a chocolate coating and toasted coconut outside. Crunchy, sweet and definitely not for sharing! 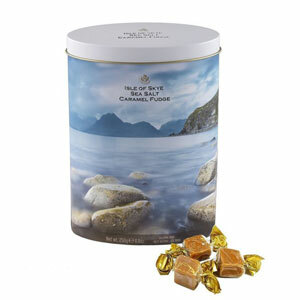 So we made it a pack of two, one for you and one to share (or for tomorrow for you!). 3.8 ounces per bar. Set of two. Ingredients: Chocolate, Sugar, Corn Syrup, Toasted Coconut, Egg Albumin. 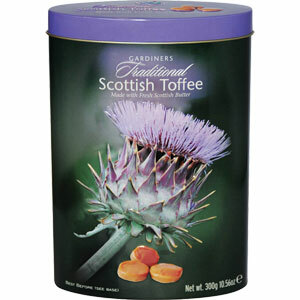 Buchanan's of Scotland is famous for award winning Toffees and Fudges. Produced in the old torpedo factory alongside the Clyde in Greenock, each piece of Buchanan's candy is made with the finest ingredients procured under Fair Trade standards.